Lion Head Recordings is the new label from veteran electronic dub producer Glyn "Bigga" Bush. 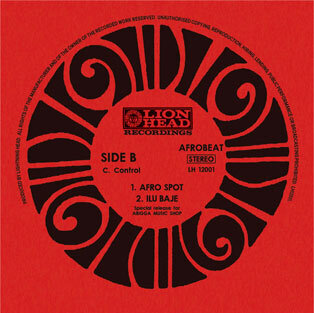 Best known for his work with Rockers Hi Fi during the 1990s and since the turn of the century his solo albums for Sonar Kollektiv ("STUDIO DON" by Lightning Head) and Stereo Deluxe ("BIGGABUSH FREE", "SOUND SENSATION"), Lion Head is to be the future carrier of all sounds released from Bigga's studio, including limited edition funk, afro and dub vinyl releases. 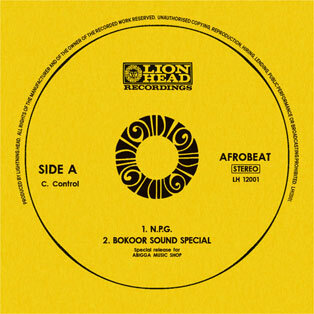 This 12" single showcases the exuberant sound of 70s West Africa - Afrobeat done L Head stylee!